With its prominent mane, the lion has long been a symbol in art and architecture representing royalty, stateliness and bravery. 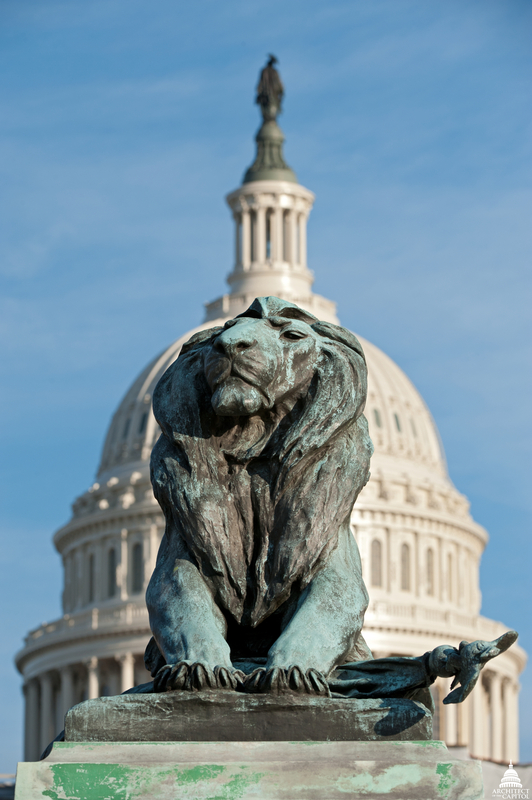 Through these appearances in paintings, sculpture and ornamental adornment to buildings, the "king of the jungle" often finds itself out of the wild and in more urban areas, like Washington, D.C.
Below are six areas where you'll find this type of cat on the Capitol campus, including a few located inside for those days when March "comes in like a lion" with cold and unpleasant weather. Recently brought into popular culture by the opening credits of Netflix's House of Cards TV series, the Grant Memorial includes four bronze lions on pedestals guarding the flags of the Army and the United States. 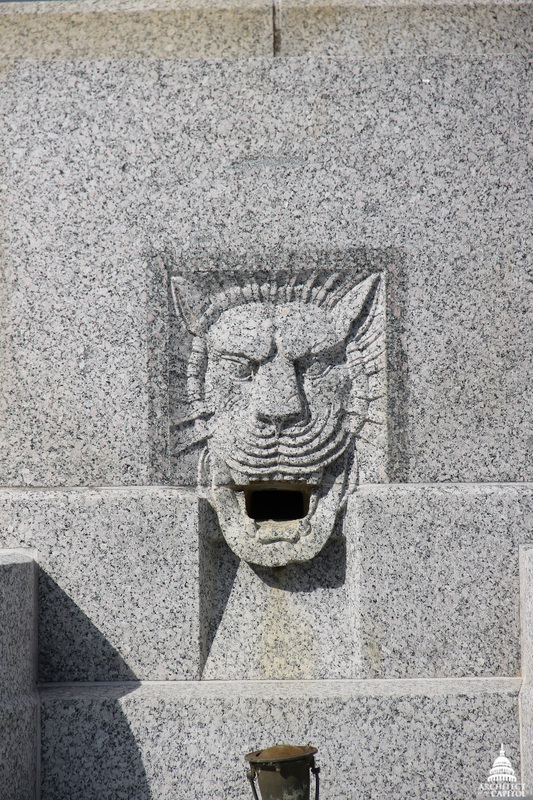 The display fountain in the park between the U.S. Capitol and Union Station, located over the Senate underground garage, features lion-head spouts on the faces of its large, granite hexagon. 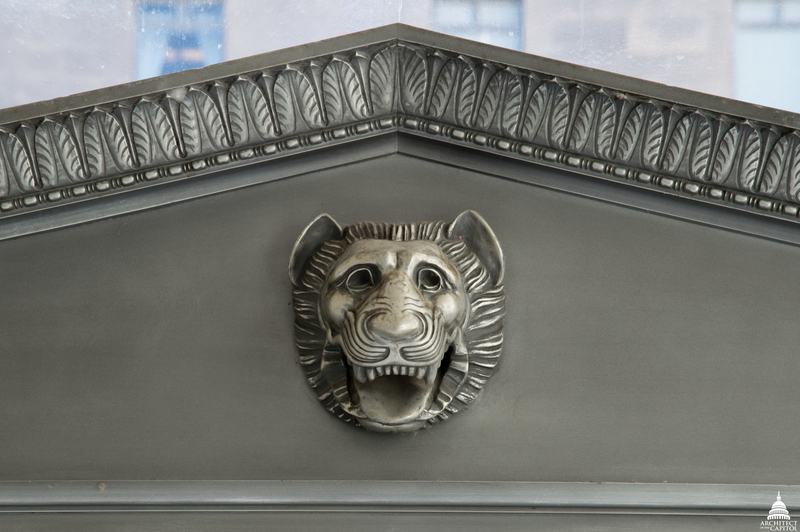 In the Rayburn Building's foyer, a decorative lion head sits above the door leading to the courtyard. 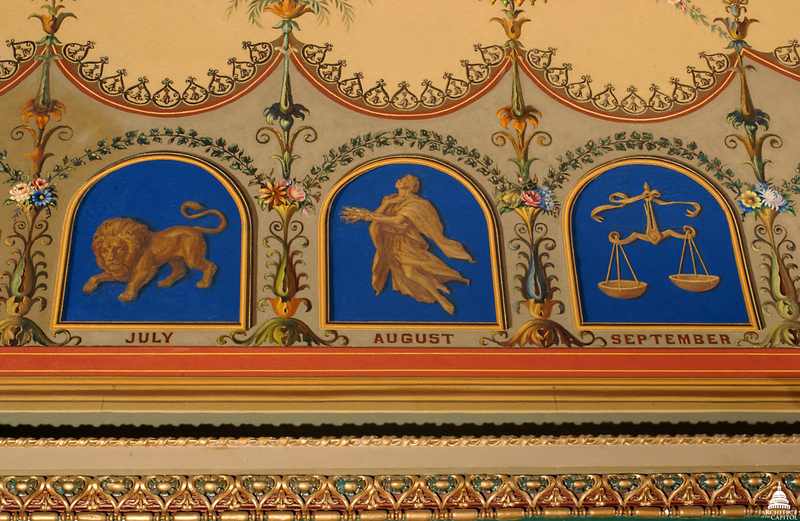 Leo, the astrological sign represented by a lion, appears among the zodiac area of the Brumidi Corridors in the Senate Wing of the Capitol Building. 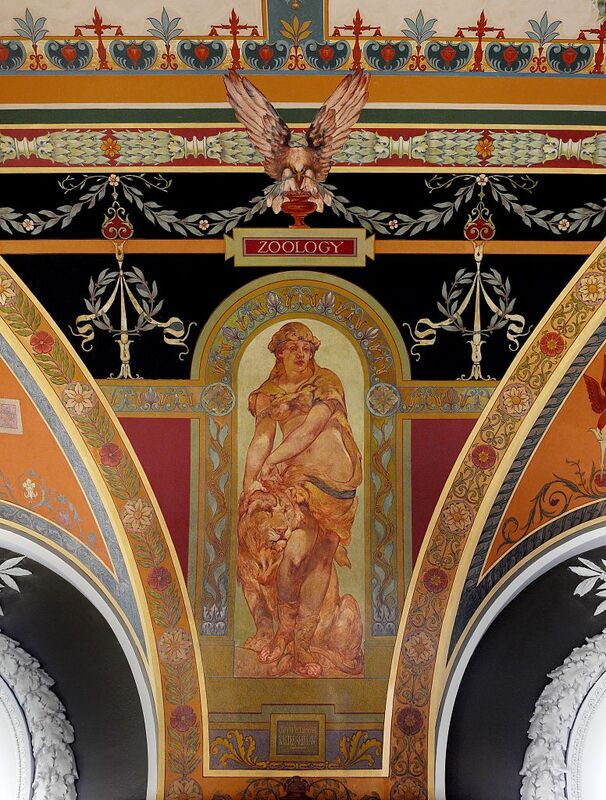 On the second floor of the Library of Congress Jefferson Building's West Corridor, the mural of Zoology shows a woman and a lion in a painting collection depicting the sciences. Affectionately known as the "Lion of Idaho," Senator William Edgar Borah's statue greets those entering the North Orientation Theater from Emancipation Hall.